For TFT to enter a new basin and a new state entirely, we must see need and opportunity. Idaho’s Snake River offered both. The middle section of the Snake that winds through the farmland of southwest Idaho is currently a wide, shallow and slow-moving system. This working river is exposed to direct sun and sediment runoff that impacts water temperature and water quality downstream. Take a look at the Snake River from above, and it’s not all that unlike the reptile. Stretched out among landscapes as if sunning itself on the country and winding between mountains, plains and canyons. Yet the river is not named after any resemblance to its namesake. In fact, it was a misinterpretation that simply stuck. The Shoshone tribe, one of the first communities supported by the river, created a hand sign that was meant to represent fish, due to the abundance of salmon. The Europeans crossing the Rockies thought the sign meant snake. One thing hasn’t changed since then: Many rely on the Snake’s health and power. It’s certainly what you’d call a “working” river. Working with The Freshwater Trust, Idaho Power is proposing a restoration program intended to decrease thermal loading to the river upstream of the Hells Canyon Complex and provide widespread environmental benefits for native species such as the Snake River Physa (an endangered snail), white sturgeon, and mountain whitefish. “The Freshwater Trust provides experience with developing and implementing watershed restoration programs within the regulatory framework of the Clean Water Act,” said Ralph Myers, Environmental Supervisor with Idaho Power Company. Using modeling, satellite imagery and 21st century technology, The Freshwater Trust is able to quantify the impacts of natural infrastructure. As an example, the amount of sunlight blocked by a tree planted on a riverbank can be calculated, allowing for an action like planting trees to be weighed as a viable option for compliance with state-regulated total maximum daily temperature loads for a river. This approach, defined by The Freshwater Trust as Quantified Conservation, is a method of using data and technology to ensure that every restoration action has a positive outcome for the environment. It’s about leveraging the best practices used by businesses and social sector organizations to restore the state of the natural environment. Planting native vegetation along key tributaries to the Snake River, collaborating with irrigators to reduce agricultural runoff, enhancing floodplains and wetlands associated with the river bank and existing islands, and even creating new islands in the Snake River are all part of the proposed stewardship plan for the Snake River watershed. 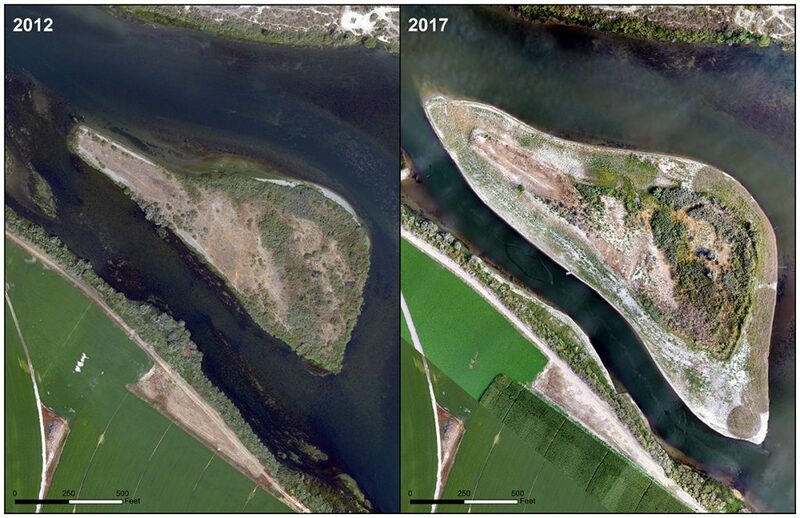 Over time, the instream restoration projects and streamside revegetation projects will reduce the thermal load to the Snake River by 15 billion kilocalories every day. “Our ability to identify the true outcomes of a restoration project and assign a value to nature allows us to bring another option to the table,” said Alex Johnson, Freshwater Fund Director with The Freshwater Trust. New wetlands, cooler water temperatures, and native vegetation would improve habitat for fish, birds and other wildlife calling the area home. Instream restoration work in the Middle Snake River could span a 30-mile reach of the river that still supports remnant populations of native species such as white sturgeon and Physa snails and was historically used by fall Chinook salmon for spawning and migration. Riparian revegetation projects on 10 key tributaries could cover more than 150 miles. An extensive permitting and review process must be completed before the work takes place. Idaho Power and The Freshwater Trust have conducted preliminary assessments to establish the feasibility and effectiveness of different aspects of the program. Oregon Department of Environmental Quality and Idaho Department of Environmental Quality issued draft certifications for the program in December 2016, including a wholesale incorporation of the Snake River Stewardship Program. 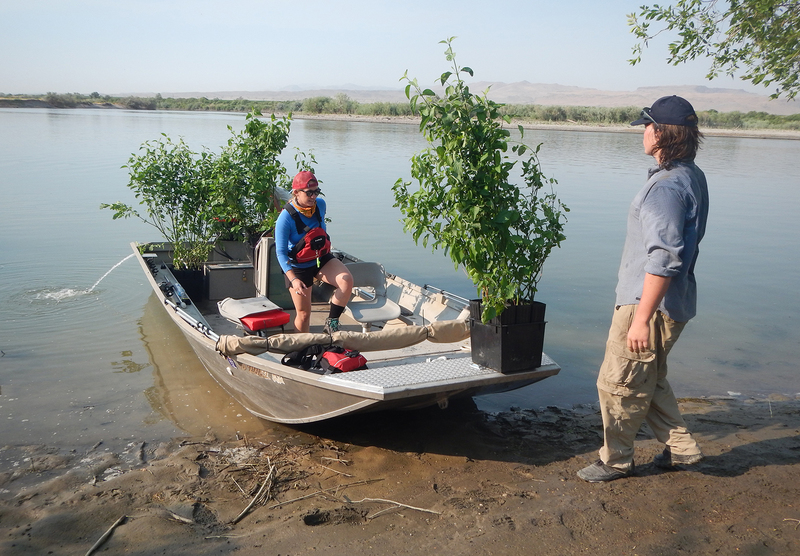 In 2016, TFT and IPC implemented the first restoration project as part of the research phase of the Snake River Stewardship Program. The floodplains of Bayha and Wright Islands were widened and adjacent channels were deepened. Thousands of native plants were planted for shade. In 2017, summer maintenance crews worked to encourage the new plants to grow and keep the invasive ones at bay. Upon monitoring the restoration site, the project is on track to meet performance standards and provide benefits. Lessons learned during design, implementation, maintenance, and monitoring were compiled and are being used to improve the second island construction project, scheduled to be built in 2020. Critical work also continues in the Grand View area. In 2017, IPC helped three landowners convert 407 acres to sprinkler irrigation, which helps reduce sediment washing off fields and into the river. Thousands of pounds of sediment have been prevented, thanks to these efforts. Rehabilitation of streamside shade is also underway in the Powder and Weiser Rivers, two tributaries of the Snake. 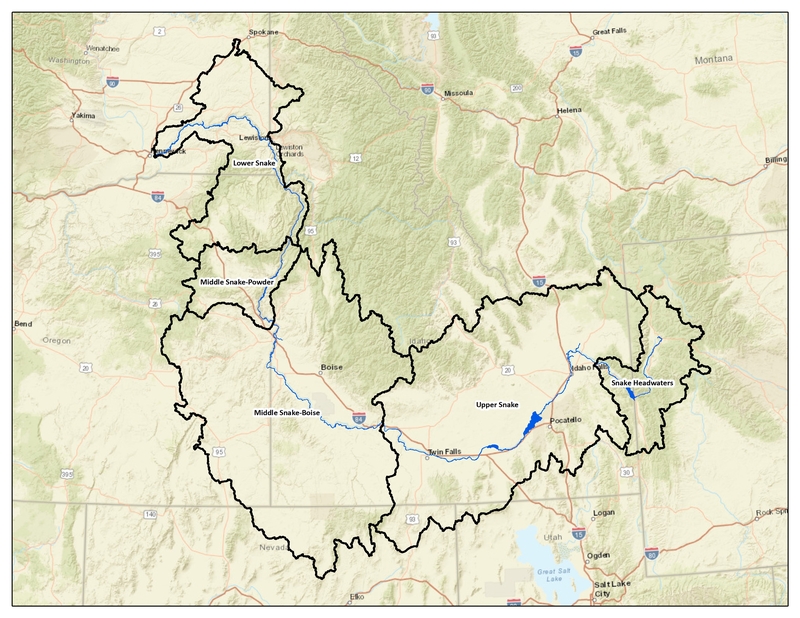 In 2017, TFT used prioritization models to determine the most desirable locations for revegetation in the Weiser River watershed. Using the top selection of potential project sites, we moved forward to recruit project sites with the most ecological and thermal benefit. 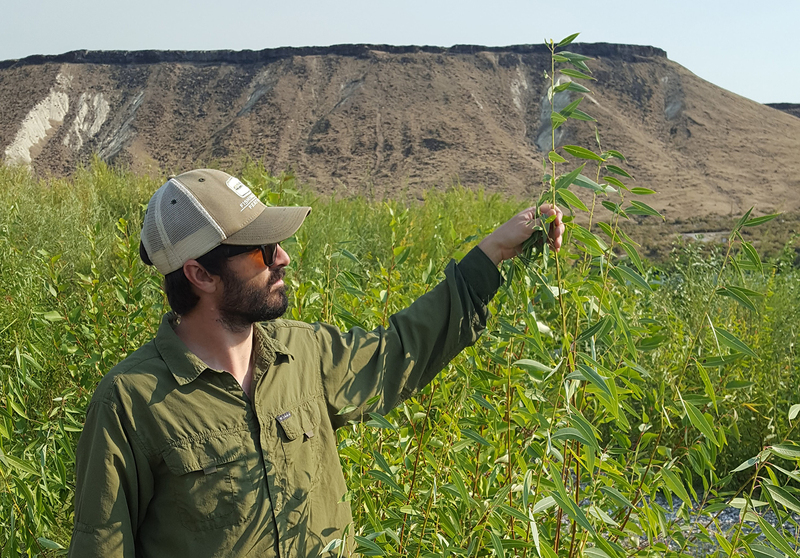 IPC managed and implemented two pilot projects on the Powder River in 2017 and has contracted with landowners on the Powder River for nearly 100 acres of riparian rehabilitation, set to generate more than 714 million kilocalories per day. 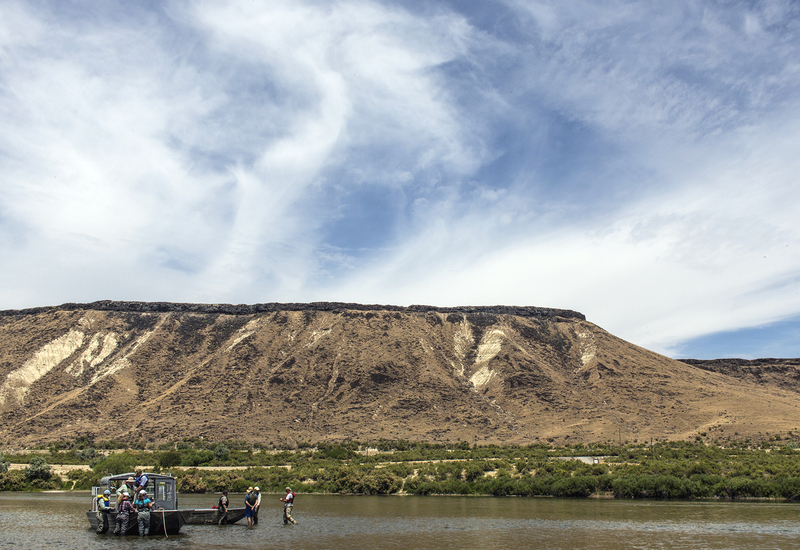 Interested in reading more about the Snake River Stewardship Program? How does the Snake River Stewardship Program fit into the requirements for the relicensing of a hydropower dam? A hydropower dam is initially licensed by the Federal Energy Regulatory Commission (FERC) at the time of construction, it must then be periodically relicensed for continuation of the existing project. One component of the licensing/relicensing process is an examination of the potential environmental impact of the dam on the river ecosystem and function, and a mitigation plan to address any impacts. As part of the relicensing of the three-dam Hells Canyon Complex, Idaho Power Company plans to implement the Snake River Stewardship Program (SRSP), a watershed-scale restoration plan for offsetting temperature impacts. What is Section 401 certification? Section 401 of the federal Clean Water Act requires state certification for a license issued by a federal agency for an activity that may result in a discharge into waters of the U.S., such as a hydropower dam. This requirement allows each state to have input into federal projects that may affect its rivers and streams and to ensure the projects will comply with state water quality standards. For the Hells Canyon Complex, both Idaho and Oregon Departments of Environmental Quality must review and grant 401 certification. Oregon and Idaho Departments of Environmental Quality jointly set water quality targets for the 2,500 square miles of the impaired Snake River-Hells Canyon subbasins. The Snake River-Hells Canyon Total Maximum Daily Load (TMDL) contains temperature load allocations for point sources and nonpoint dischargers, like the Hells Canyon Complex. The load allocation assigned to the Hells Canyon Complex is exceeded during the fall; Idaho Power must address elevated water temperatures below Hells Canyon Dam. An increased thermal load in the water can negatively impact the rearing and spawning habitat of cold-water fish. In order to offset its portion of the heat load in the TMDL, Idaho Power will implement the multi-project SRSP as part of a Temperature Management and Compliance Plan. Meeting the requirements of the Snake River-Hells Canyon TMDL for temperature is part of Section 401 certification. How are thermal benefits calculated for the riparian projects? The Shade-a-lator module, a unit of the HeatSource model, is used to calculate temperature improvements as a reduction in thermal loading from the sun to the river due to riparian (streamside) vegetation. Riparian trees block the sun, increasing the shading of the stream. Riparian revegetation creates thermal improvement that are quantified in units of kilocalories per day. Riparian revegetation projects are proposed for more than 100 miles of streambank along 10 tributaries of the Snake River. 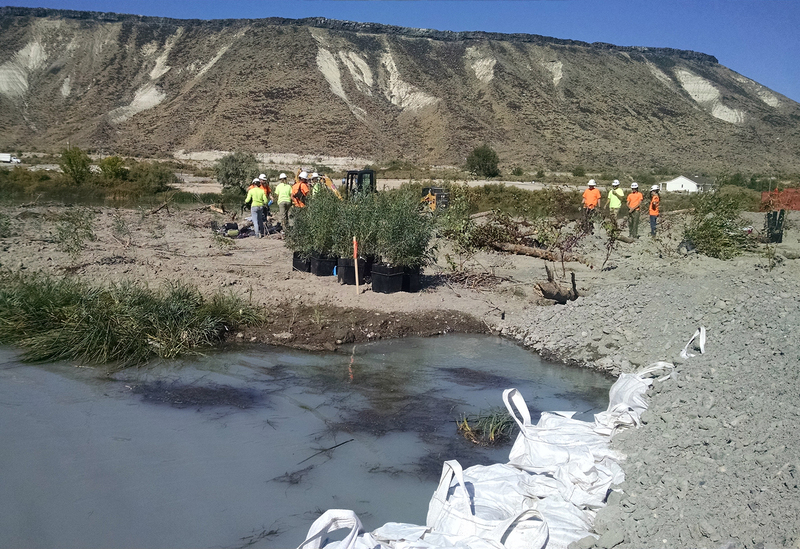 The proposed riparian revegetation projects will restore many of the natural riparian functions that are currently missing from the Snake River tributaries. Over time, these revegetated riparian areas will not only shade the streams, but will also contribute large wood and other organic material to the stream, stabilize streambanks, increase cold-water patches, and increase water storage. How are thermal benefits calculated for instream projects? Geospatial analysis and existing models are used to calculate temperature improvements as a reduction in thermal loading from changes in river surface area. 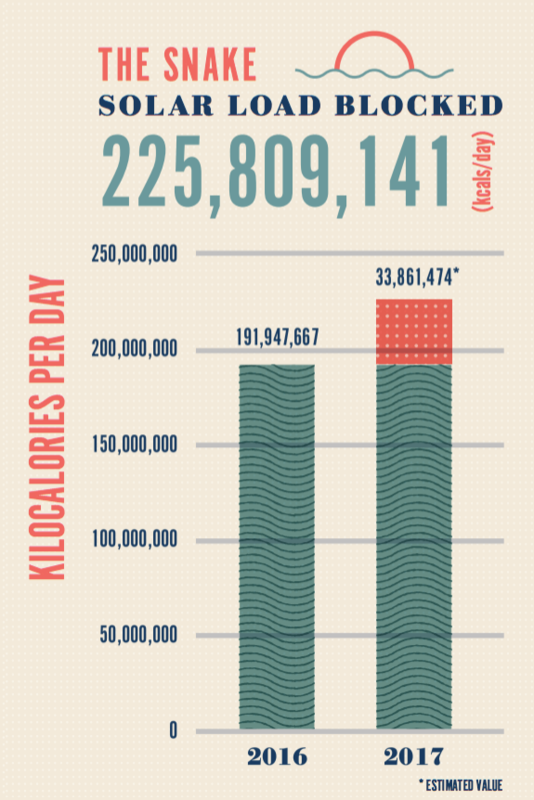 These actions create thermal improvements that are quantified in units of kilocalories per day. The proposed instream actions will increase sinuosity and complexity of the shallow, slow-moving Snake River. Actions at multiple project sites include narrowing and deepening the river channel by enhancing floodplains and wetlands and constructing or enhancing islands. Constricting the width of the channel will increase water velocities and sediment transport along the riverbed around the project sites. This in turn will help to keep the gravel riverbed free of fine sediment – good for both cold-water fish habitat and hyporheic exchange. Hyporheic exchange refers to the mixture of water in the river channel with adjacent shallow groundwater, creating cold patches in the river. Are there other benefits addressed in addition to temperature? In addition to instream and riparian improvement projects for temperature, the SRSP includes a third set of actions to address sediment and phosphorus transport. 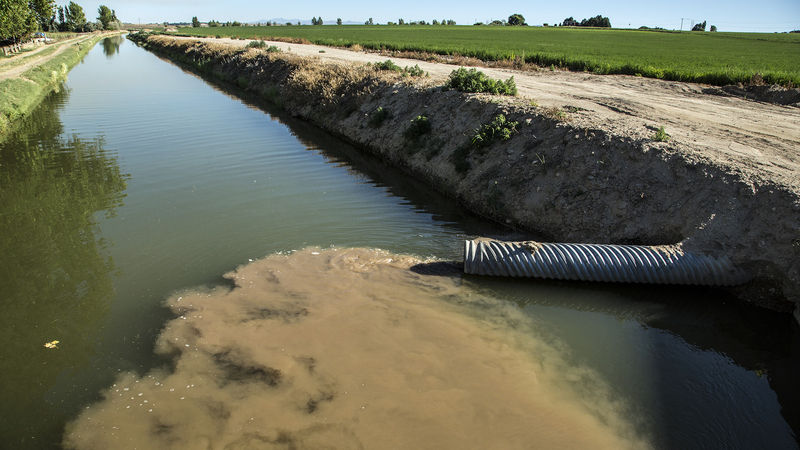 By upgrading to pressurized irrigation systems in relevant upstream agricultural areas, sediment and phosphorus runoff from agricultural land practices will be reduced. These voluntary reduction actions would protect the ongoing effectiveness of the instream restoration projects in downstream reaches of the Snake River. Does this program benefit endangered or threatened species? Yes. The area is home to numerous sensitive species, including trout, whitefish and sturgeon, as well as the endangered Physa snail. The Mid-Snake River suffers from various issues that compromise water quality and wildlife habitat. These include: lack of streamside vegetation; slow-moving water due to wide, shallow channels; nutrient and sediment loading from agricultural runoff; excess aquatic vegetation growth; and low oxygen levels. Restoring the river’s natural functions will have a significant positive impact for native species. How does the stewardship program compare to alternative solutions for compliance? The proposed watershed restoration program will have widespread environmental benefits in the Snake River and tributaries. Conversely, a structural solution such as a temperature control structure (TCS) in Brownlee Reservoir, an alternative that has been proposed by other stakeholders, would provide no upstream benefits, limited downstream benefits for temperature, and could adversely impact downstream resources. How big is the SRSP? The SRSP is designed as a compliance program for 401 certification of Idaho Power Company’s Hells Canyon complex. It will extend for the term of the new license, which is expected to be 40 to 50 years, and address water temperature issues and river-channel function between the Hells Canyon Complex and Swan Falls Dam. Where will the stewardship projects be located? There are three components to the SRSP. 1. The instream restoration actions, including narrowing and deepening the river channel, and creating inset floodplains and emergent wetlands will be located in the Middle Snake River from Walters Ferry to Homedale. The first construction actions will take place around Bayha and Wright Islands. 2. The riparian habitat improvement actions, including restoring native vegetation for shade along key streambanks, will take place along 100 miles of 10 major tributaries of the Snake River. The first plantings will likely take place in the Powder River subbasin. 3. The upland irrigation improvement actions, including implementing best management practices for irrigation, will take place numerous locations along the Snake River where agricultural runoff is a significant contributor to poor water quality. The first upgrades are taking place in the Grand View area. After the SRSP is implemented, can the Snake River still be used for fishing, boating and other types of recreation? Yes. The stewardship program will create a river channel with sections that are deeper and have faster-flowing water, to inhibit the growth of unwanted aquatic plants and provide better cold-water conditions for fish. The associated wetlands and floodplains that will be created will enhance wildlife and bird habitat. When completed, the channel modifications will make it easier for boat navigation in the Middle Snake River, and public land will remain accessible.